You can meet the team from Health Education England at the Alzheimer’s Show. 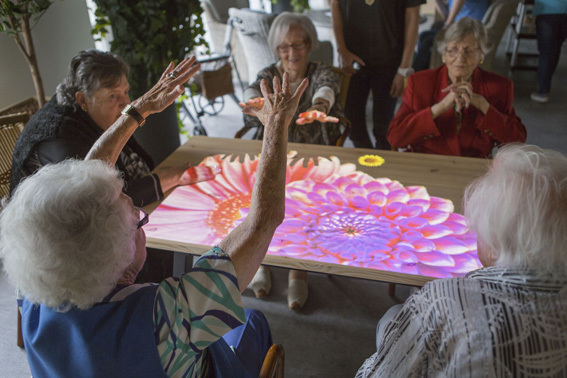 We asked them a few questions regarding how they see the future of dementia care and how they’re trying to tackle the challenges of the future. 1) What is HEE’s overall remit when it comes to dementia care and treatment? The HEE dementia education and training project is responsible for delivering the requirements of the ‘Prime Minister’s Challenge on Dementia 2020’. The project aims to ensure the availability of high quality dementia education and training for all NHS staff at a level appropriate to their role. This work is underpinned by the ‘Dementia Training Standards Framework’ (previously titled ‘Dementia Core Skills Education and Training Framework’), which outlines the learning outcomes for three tiers of training. HEE has developed a suite of high quality dementia education and training resources working closely with key stakeholders across the system. These are available to access free of charge through the HEE dementia webpages. These resources have been aligned to the learning outcomes of the Framework and have been quality assured using the hallmarks of effective dementia training, based on the evidence from the Leeds Beckett University ‘What Works’ research study. The project team is committed to working with system wide partners to support the development of the workforce providing care for those living with dementia, and can demonstrate this through the Dementia Workforce Advisory Group (DWAG). This group is jointly chaired by Skills for Care and HEE, and includes representation from key system wide partners, including representatives from charities, universities, the care home sector and the housing sector, and supports the sharing of good practice across the system. 2) What sort of guidelines has HEE developed to assist with dementia care and treatment? HEE’s work to ensure the availability of high quality dementia education and training resources is underpinned by the ‘Dementia Training Standards Framework’, jointly published by HEE, Skills for Health and Skills for Care. This outlines detailed learning outcomes for three levels of training, and helps to ensure a standardised approach to the interpretation of dementia training across the health and care workforce. It aims to ensure training is consistently provided at a high standard and will ensure good quality of care and support for people living with dementia, their carers and families. As an Arms-Length Body the HEE project team have contributed to the consultation and development of other policy initiatives across the system, such as the NICE Guidelines on dementia (due to be published in June 2018), Person Centered Care and End of Life Care Core Skills Frameworks and NHS England’s ‘Good Care Planning’ Guidelines. HEE is also very supportive of the Public Health England (PHE) risk reduction and prevention agenda, and actively promotes these messages throughout its work. 3) Are there current projects that HEE is involved with relating to dementia that have not yet seen the light of day? HEE has commissioned Bournemouth University to review and update a tier 2 simulation training package called ‘Dementia Education and Learning Through Simulation 2’ (DEALTS 2). This resource was launched in Dementia Action Week (May 2018) and is designed to be used by qualified trainers and to be adaptable across acute settings. The simulation approach aims to support staff to consider the perspective of a person living with dementia as central to the provision of care. The resources are designed using low key simulation scenarios, with the opportunity to be adjusted to suit the level of resources available. Through the Department of Health Meaningful Care group HEE has also been involved with the review of the Dementia Core Skills Education and Training Framework, which is shortly to be re-launched with a revised title of the ‘Dementia Training Standards Framework’. The Framework is being reviewed to ensure it is relevant for the housing sector, and to enhance the focus on dementia and nutrition, hydration, and oral healthcare. The revised Framework will be launched in June 2018. Promotion of the Framework will be critical to widespread uptake across the country to ensure the Framework is implemented as the industry quality standards. HEE is facilitating a review of the existing dementia e-learning modules on the e-Learning for Healthcare (e-LfH) platform with the support of the University of Bradford. Work is also planned to refresh the GP dementia e-learning modules. HEE has also been working with Skills for Care, Skills for Health and Leeds Beckett University to develop a support resource for implementing Tier 2 of the Dementia Training Standards Framework in health and social care settings. It is also working with Leeds Beckett University to develop resources to accompany the films- ‘Finding Patience’ and ‘Finding Patience: The Later Years’. This resource will support organisations to develop the learning raised by the films in more detail to meet the learning outcomes for tier 2. 4) What does the future hold for HEE’s dementia work? HEE’s dementia will continue to ensure a sustained focus on systems leadership to maintain momentum around the dementia education and training agenda. This will include a continued focus on the higher tiers of training, particularly specialised areas, and opportunities for education research. HEE’s work will also aim to support those working in primary care, promoting access to and uptake of high quality resources, to support staff working in these settings acquire the necessary skills and knowledge to provide good person centered dementia care. 5) What are your views on the future for people living with dementia in the UK? 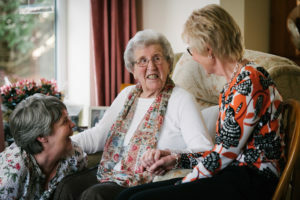 The Prime Minister’s Challenge on Dementia 2020 has facilitated a shift towards a joined up system-wide approach to supporting people to live in a meaningful and positive way with dementia. This has included ensuring the workforce are equipped with the right skills to provide good dementia care and support for families and carers. Significant work is also underway within the wider system partners, including the other Arms-Length Bodies, to ensure high quality support is available now and in the future for people living with dementia in a consistent way across the country. Wider work includes the focus on prevention, meaningful care planning and the development of communities and business that are aware of the needs of people living with dementia. 6) Who from HEE will be attending the Alzheimer’s Show this year? Jan Zietara and Dominique Henson will be attending as the HEE dementia project team. Professor John Clark, Director and Dean for Education and Quality across the South region is the national project Senior Responsible Officer and has been highly supportive of our attendance at the conference. HEE are also being supported by colleagues from the Ageing and Dementia Research Centre (ADRC) at Bournemouth University who have worked closely with the HEE project team to develop and launch the DEALTS 2 simulation training package. 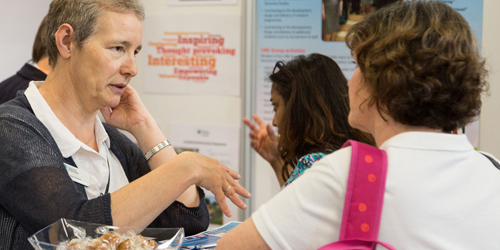 7) Why should dementia and care professionals visit you at the Alzheimer’s Show? The HEE project team will be available throughout the conference at stand D9, and would be very pleased to meet you to discuss our work in more detail, including how to access the suite of free training resources outlined above through the HEE Dementia webpages.